New Fly Delta App iOS iPhone 4.6 Update – Auto Check-in when you open the APP! Well this is an interesting change. It seems Delta, in their iOS 4.6 Fly Delta APP update is now auto checking you in for your flights (when within 24 hours of flight). For the general public I understand the appeal of this. Someone for who is not, shall we say travel savvy, the simpler you can make it the better. 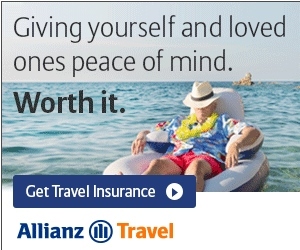 But what about for the rest of us who do travel all the time? When will there be a similar update for Android? What about those on Basic Fares who don’t want auto check-in till later on? How will this work with international flights with a passport? Will buy-up offers still show if App auto checks you in? Can you keep the older version of the App? Is there a choice to opt-out of this new feature? Any impact on bump offers on Delta.com? …and a bunch of other questions rattling around my head like C+ “upgrades”, SDC and so much more. I really have been a huge fan of the Fly Delta App so far. It is a much better tool than just about any other airline App I have used. I do like the auto push for seat changes and gate changes (when it works) but again not so sure I am in love with this latest update. As to my last bullet point above know that for a long time now, if a flight is over sold, you can re-check-in on Delta.com and many times it will pop up the offer to bid to give up your seat (even if you are already checked-in in the APP). I hope this stays the same. If bumpertunites really matter to you I guess the smart thing to do would be to 1st check-in on Delta.com – THEN open your Fly Delta App. I will say for those of us with Android we can turn off APP updates in the settings in our phone and manually update each APP. Thus we could stick with the current 4.5 or even go back and install the 4.5 if we do not like the coming 4.6 for Android (I have uploaded a backup of the 4.5 Android version HERE if you want it btw). Not being an iOS person (never owned an iPhone) I am told that it is possible to go back to an older Fly Delta APP version in your phone but is not a simple task to do (maybe geek-ish iOS users can chime in here). ← Delta $DAL Q3 earnings call nuggets – Delta Premium Select (Premium Economy) coming to European flights in Spring of 2018! Delta’s app is pitiful. Doesn’t the iPhone version freeze up 50% of the time ? Don’t think you can go back, but you can turn off auto-updates. Probably will go do that right now! Thanks, Rene. @Ryan – I use Android. It is a very solid and sweet APP. I don’t know that I’ve ever experienced a “freeze” with the iOS app. Certainly not 50 percent of the time. I’ve used it since it was introduced on at least 3 different iPhones. Delta’s iOS app is far superior to AA’s, even with recent notable improvements by AA. I’m hot and cold on United’s. United offers auto check in as well, but you can turn it off. I did. For whatever reason, I just didn’t care for it. @MJ – Thanks for feedback on United. I asked for C+ opt-out button but Delta does not seem to want to let you tweak settings that way nor do I think they will with this update either. As for international flights, I check in via the app all the time. You just have to have your passport verified when you get to the airport. I usually do it at the SkyClub, but you can do it at the gate, as well. I’m curious how it will work when I book two separate trips the same day (to get cheaper fares). For example, i recently had MCO-JFK on one ticket. Then JFK-ZRH on a separate ticket. I checked in for both with no problem. However, it would not let me view my boarding pass for the second leg, telling me I had to complete the first trip before I could view the boarding pass. I had a 3 hour layover at JFK, and it still wouldn’t let me view it long after my flight landed at JFK. Same on the way back. Fortunately, I had time to get the boarding passes at the SkyClub. I never experienced any issues with the Delta app on the iPhone. My biggest question on this auto check-in is regarding the ability to change seats. Usually I look right at 24 hours before the flight wen many seats open and upgrades are issued so if you are in coach you may get an exit row, etc.. Thus, if the app automatically checks me in that will be more difficult to change. @Carol: Don’t think this is true if you need a visa to your destination. I have my passport info on my account and I had times when the app did not let me check-in because an agent had to check my documents. René, has it been confirmed that it only auto checks you in if you open the app? If so, I will make sure not to touch my Delta app for my upcoming trip that is on a basic economy ticket. I think this “enhancement” was created solely for the purpose of ensuring that those buying basic economy fares get assigned the worst seats in the very back of the plane. Because right now, if traveling on a basic economy fare you could just wait until like 45 mins before the flight and checkin then and hope that by then all the crappy seats in the back have been allocated and you could end up with something nicer towards the front. As for downgrading apps on iOS, yes it can be done and it a very technical process that is not easy and takes awhile. I’ve done it for an iPhone game that the developer completely changed the way it works in the newer versions and it’s just terrible. There are articles on the internet that explain how to do it but just be prepared to spend about an hour or so on it. And then make sure auto update apps is turned off on your iOS device. Delta could get tricky though at some point and put an app version authentication in and block you from using the old version at some point down the road. @ORD Flyer – Nothing has been confirmed yet. I did talk to the APP team and they said talk to PR folks who have not gotten back to me yet. @Santastico: I had no problem checking in for China last year. Was able to view the boarding pass and have my passport verified at the SkyClub. Sometimes I have problems checking in ahead of time on the way back form international destinations and have to check in at the airport. They added a perceived feature but removed one that was rather important. It no longer retains user info SM number or by name. So if you have multiple accounts in your household, you no longer have them stored for easy access. Agree with Jeff(except about the spelling of his name). I used to be able to log in to all 4 of our accounts simply by recalling a password. Now all I see is a space for a single member. Lame. These propeller heads at Delta must enjoy making things more difficult. Don’t they do studies BEFORE implementing “enhancements”? Auto checking did NOT work on my Intl trip tomorrow to CUN. @Carol, same thing happened to me coming off an international flight last week at JFK and could not view boarding pass for next flight. Had to go wait for rep to issue paper one. Rene, what’s the latest on the update and impacts to 1st Class upgrade, SDC, etc? I’ve been holding off the app update. Thx for all you do. @Scott – I would hold off for now.